How do you create engaging online learning? Well, there’s a lot to be learned from computer games! Let’s take a look at one of the most powerful gamification features, that grips players’ interest – Experience Points (XP). In gaming, Experience Points indicate a player’s mastery over their virtual world. XP can be earned for just about any activity which develops the player’s experience, skills or understanding of the game. These coveted points are commonly awarded for objectives achieved – anything from shooting 50 arrows on target, to unlocking a new virtual location. Take it from us, the pure joy of earning Experience Points feels awesome! The points act as a combined goal and reward, driving gamers to play on. The power of points can be used in a similar way to engage learners on the Academy LMS. 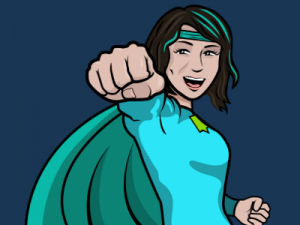 Below we explore how you can use XP to motivate learners to interact with the platform and progress through training content. Experience Points drive learners’ progression through online learning. Training content is the equivalent of objectives in computer games. So, instead of gaining 100 XP for shooting arrows on target, your learner could gain XP for completing a training module. As learners progress their points increase. They eventually accumulate enough to level-up on the LMS! The prospect of achieving points motivates learners to engage with the training. Because whatever the objective, receiving rewards for our efforts feels good! Learners can see how many Experience Points they will earn form completing a content item. The joy of XP shouldn’t be restricted to formal training completion! Fortunately, XP can be awarded for just about any form of positive learner behaviour on the Academy LMS. As Admin, you decide which behaviour you want to encourage, reward and celebrate. You could give newbies a warm welcome with 10XP for simply logging on. Or perhaps you’ll reward 1000 XP for the 1000th content item they download! Whatever it is, use XP to motivate learners to explore and use platform’s range of features. 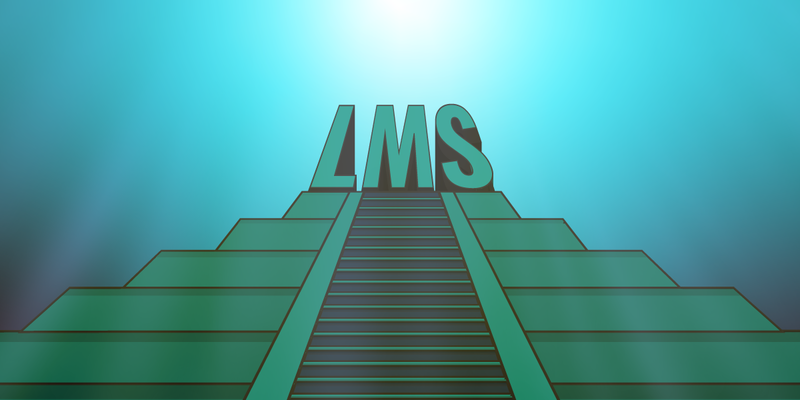 Learners earn Experience Points for their actions on the LMS e.g. logging in. Formal training is important but it’s only responsible for 10% of our learning. 70% of our knowledge is down to informal learning. 20% of which comes from observing others and sharing knowledge. Admins can encourage this social learning on the Academy LMS! Use XP to incentivise learners to engage with the platform’s social learning features such as the message boards and discussion groups. For example, you could reward XP to learners who share their favorite TEDTalk on the message board or post a photo showing how they are putting new skills into action. By rewarding social learning with XP you encourage knowledge sharing on the LMS. Assigning consistent, meaningful ‘weighting’ to XP on the LMS is paramount to their success. Weighting refers to the value or amount of XP awarded for each action performed on the LMS. So it helps to imagine XP earned, as a currency. Downloading one content item may earn learners 10XP whereas completing a curriculum could earn them 1000XP. Rewards are only meaningful if they match the importance of the achievement or the effort invested. Make the reward fit the action and keep weighting consistent across the platform. This ensures XP are meaningful and learners remain engaged by the points rather than perplexed! Actions on the LMS can be weighted differently to indicate their value, difficulty or importance. Experience Points aren’t purely about making learners feel good. The accumulating XP (or lack of!) allows Admins to identify learner engagement patterns. You can spot who’s interacting with the Academy LMS and who’s not, by the Experience Points achieved. Someone who only has a hundred points may not have got further than logging in and adding their profile picture. This is great if it’s their first day on the job. Not so good if they’ve been on the platform for years. This is an example of how XP can highlight engagement and disengagement within your teams. Once you identify a pattern you can do something about it. Then you can break out the superhero soda to celebrate those all-time high engagement levels! Learners can earn points for their activity within discussion groups. Experience Points on the Academy LMS are a simple way to identify internal expertise and spot potential Subject Matter Experts. So how’s it done? Admins can create discussion groups (Clubs) within the Academy LMS. Learners who post in these groups receive ‘contributor points’ (see the image above). These are similar to XP but are solely awarded for posting in the group. Whoever is most active will earn the most points and can be identified as the go-to person for that topic. This makes it easy to find those all-important subject matter experts! Eager to learn more about the power of points to engage learners? 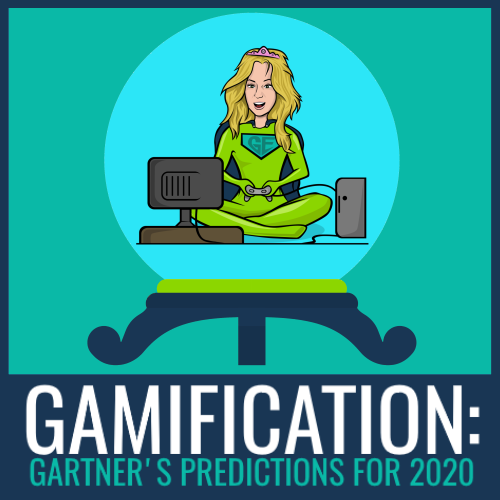 Click the button to download our White Paper about Gamification on the Academy LMS. 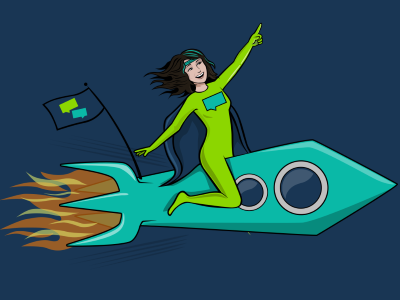 Origin Stories: What is a Learning Management System?